GRACE (grAs) n. A state of sanctification enjoyed through divine grace. 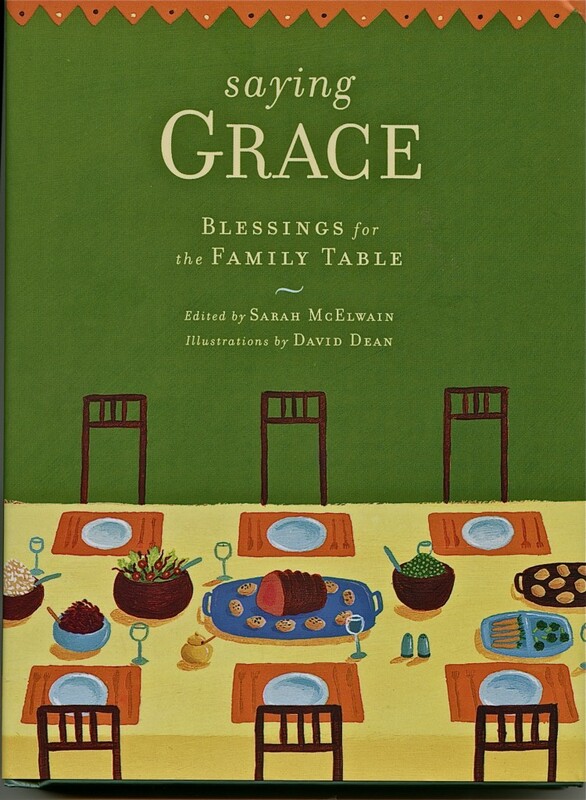 SAYING GRACE – is an illustrated collection of 120 mealtime blessings from all over the world. Each intended for holidays or whenever the spirit moves you. There are 109 towns, cities, or other locations in the continental US that share the name “Grace” in some variation. 1. Aaron Neville, Ani Difranco, Billy Ray Cyrus, Bryan Ferry, Destiny’s Child and Johnny Cash all have what one song in common? This entry was posted in Essential Dish, Uncategorized and tagged Anne Lamott, Blessings, Grace Under Fire, gratitude, Janice Hoffmann, Janice Hoffmann is life coaching, Meet The Parents, Saying Grace. Bookmark the permalink.